U.S. companies are throwing off cash but still investing tepidly in capital expenditures and inventory. Nonfinancial U.S. companies continue to generate a lot of cash, but other accounting numbers suggest they remain reasonably cautious about the economy and are not preparing for a large acceleration in sales growth. The median free cash flow of a sample of U.S. companies rose 8.50% to $23.22 million in the 12 months ended March 2015, according to a report from the Georgia Tech Financial Analysis Lab released July 30. In addition, median free cash margin (free cash flow divided by revenue) increased to 4.39%. 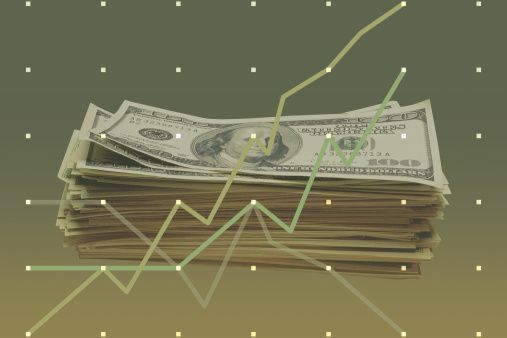 That the sample of 2,947 companies with a current market cap of $50 million or more were able to produce more cash flow available for common shareholders is a positive sign for the U.S. economy, but it’s somewhat muted by the evidence that these companies are still holding back on increasing capital expenditures and inventory. “Overall, accounting data for the twelve months ending with the first quarter of 2015 imply an economy that is improving, but in measured steps,” the report said. In addition, operating profitability continued to level out in the 12 months ending March 2015. “As noted the last two quarters, this strengthens the case for attributing the last year of revenue growth to improving demand and other economic fundamentals instead of citing discounting. Recent sustained weak inflation measures reinforce this interpretation,” the report said. Among other metrics that drive free cash margin, selling, general and administrative expenses before depreciation increased slightly to 21.34%; gross margin fell; and cash cycle days — the proportion of operating cash flow carried in working capital and measured by receivables days plus inventory days less payables days — increased 0.41 days. ← Major GPS Satellite Network Hackable?